You name it, this book has it. 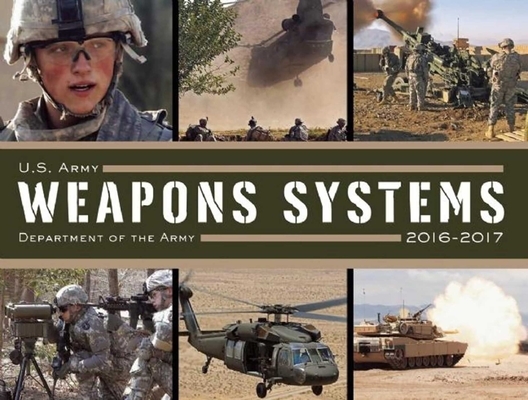 Also included is a thorough discussion of Future Combat Systems (FCS), the system of systems that, when fully operational, will provide the Army and the joint forces with an unprecedented capability to see the enemy, engage him on their terms, and defeat him on the twenty-first-century battlefield. The U.S. Department of the Army is headquartered at the Pentagon in Arlington, Virginia, and authors The Soldier s Guide, The Complete Guide to Edible Wild Plants, U.S. Army Hand-to-Hand Combat, U.S. Army First Aid Manual, U.S. Army Weapons Systems, U.S. Army Special Forces Handbook, U.S. Army Guide to Boobytraps, U.S. Army Explosives and Demolitions Handbook, U.S. Army Special Forces Guide to Unconventional Warfare, and Special Operations Forces Medical Handbook."